Prime Physio has an extensive selection of rehabilitation equipment to maximise your potential following your injury. Functional Electrical Stimulation, Full and partial weight bearing platforms, Standing and gait therapy (walking re-education), balance and proprioception training. 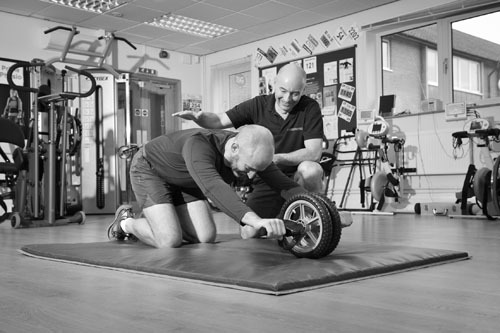 We deliver specialist exercise programmes to people with spinal cord injuries and other neurological conditions. Combining exercise with cutting-edge technology, we enhance recovery and improve the quality of life for patients. Activity-based rehabilitation is clinically proven to be the best programme for people with spinal cord injuries and other neurological conditions. 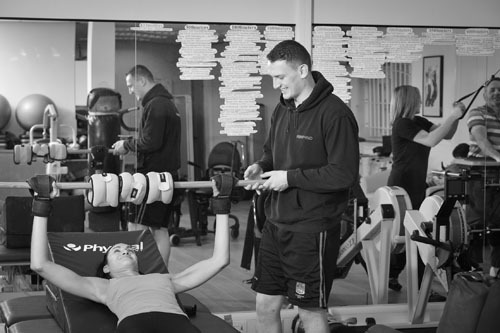 Through different therapies and activities, our programmes challenge your muscles and nerves. Whether it’s stiff or painful joints, muscular strains, or pre and post-operative rehabilitation, our qualified team of physiotherapists will deliver a plan to restore your body’s normal function and optimise your recovery. Prime Physio is an award-winning specialist therapy centre based in Melbourn, Cambridgeshire. Andrew Galbraith is the centre’s clinical director and founder, a Chartered Physiotherapist with over 25 years’ experience in training and rehabilitation. Prime Physio provides both specialist treatment and rehabilitation for people with neurological conditions and operates a sports injury clinic. The specialist therapy centre delivers tailored programmes to people with multiple sclerosis, spinal cord injury, transverse mylities, guillain-barre and those recovering from a stroke. 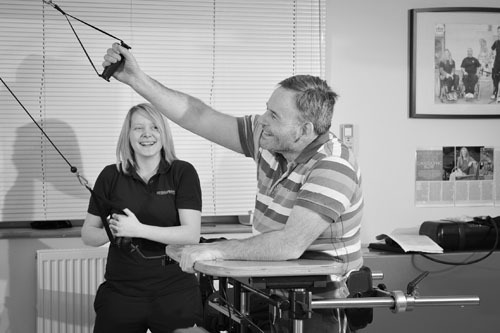 The team consistently provide a high quality service that maximises functional independence. Prime Physio also run a sports injury and rehabilitation clinic, using the latest treatments and technology to optimise your recovery. Whether you’re suffering from neck and shoulder pain, muscular strains, work-related or sports injuries, the variety of treatment options available will soon put you on the road to recovery. Click here to meet the team at Prime Physio. Andy never fails to keep the sessions enjoyable and interesting whilst always looking to push me further, enabling me to make the next step on the road to recovery. Andy - thank you very much for all your help so far - bring on the next session!! READ MORE ABOUT WHAT OUR CUSTOMERS SAY .. Copyright Prime Physio © 2014 - 2019. All rights reserved.